In the interview, Laura Philipp reveals how important it is for her to feel comfortable in her footwear. Ms Philipp, why do you need orthopaedic insoles and how long have you been wearing them? "I have splayfoot, so I got my first running insoles a few years ago. They were standard insoles, albeit designed specifically for athletes. However, I was always aware of them and wasn't satisfied with them. So I didn't wear them consistently." What symptoms do you have and when do they occur? "I don't have very severe symptoms and I don't have any pain in my foot. However, I do become more aware of my calf muscles when I train intensively and run longer distances". In the meantime, you've switched to medi's igli insoles. How did you come to hear about them? "Thanks to our cooperation with CEP, I discovered that medi also has insoles in its product range, so I tried them out. As a competitive sportswoman, I always want to do the very best I can and for this even the smallest deformity needs to be corrected to optimise power transmission when cycling or how I feel when running." Which of medi's igli insoles did you decide on and why? "I wear igli Allround light insoles in my running shoes and igli Slim insoles in my cycling shoes. They are ideal for each type of sport. I found these carbon insoles with their posts, which are attached to the bottom and have a proprioceptive effect, very convincing. This means that they stimulate and activate the muscles of the feet. Other insoles don't have an effect like this. It's also great that these dynamic insoles don't cramp my style, but give my feet enough space to move. I don't feel the insoles, but only notice how they correct my foot's deformity at the place where I normally tread too wide. What's more, my shoes don't feel any different at all when I wear them. That's important for me". Do you need special shoes for the insoles? "No, because the insoles were adapted to fit in my running and cycling shoes". How good was the advice you received about the igli insoles? And how were the insoles adapted to suit your feet? "I consulted the surgical supplier Weber and Greissinger in Schwäbisch-Gmünd and they gave me excellent advice. First the prosthetist/orthotist examined my joints. Then he checked whether I had, for example, pelvic tilt or any other impairments that could affect my feet. He also did a foot pressure measurement. Then the insoles for the running shoes were made up and adapted to suit my feet exactly, i.e. the inlay was milled to the right shape and the posts were attached to the right places. I then tested the insoles with my running shoes. They felt fantastic straight away. However, the prosthetist/orthotist told me that I should first wear the insoles for a few days before running long distances in them to give my feet the chance to get used to them slowly. That worked really well and no other adjustments have been necessary to date." 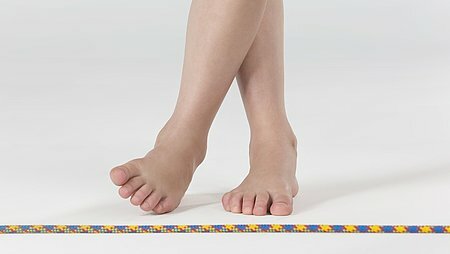 When and how regularly do you wear your insoles? "I wear the igli insoles regularly during training and with my running and cycling shoes during competitions". Are you aware of the relief for your feet when you wear the igli insoles, above all under extreme stress like during a triathlon? "Yes, because despite intensive training sessions, I no longer have the pain in my calf muscles. For example, I used to already get calf problems about half way through the 25-kilometre run in the past before I wore insoles. With the igli insoles, I no longer have any pain, instead my legs and feet feel good". You are an experienced professional sportswoman. How important is it that you feel comfortable in your footwear and the insoles? "That's vitally important. If the shoe doesn’t fit properly, I wouldn't wear it. Running is my strongest discipline, so the shoe has to be comfortable. That also plays a major role for the mental attitude in professional sports". These days there are many different uses for orthopaedic insoles, for instance, for ballerinas and high heels as well. Could you imagine wearing these insoles too? "Although I usually wear sports shoes, I'd like to test these insoles as well. Because sports shoes are so comfortable and tend to pamper my feet, they are always put under a lot of stress when I wear high heels to an event. Perhaps walking in these shoes wouldn't be so painful for me, if I had these insoles". How else do you pamper your feet? "I think it's very important to look after your feet – insoles alone are not enough. So I train my foot muscles and walk around barefoot a lot in summer, for instance. As a trained physiotherapist, I always advise people who have a foot deformity to do muscle exercises every day to strengthen their muscles". Ms Philipp, many thanks for the interview. Running, cycling and swimming are her passion: Laura Philipp from Schwäbisch Gmünd travels all over the world as a professional athlete. 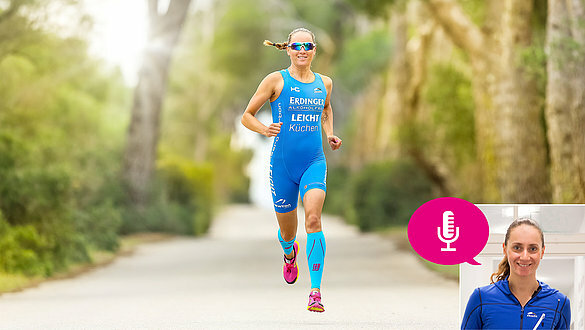 In 2016, she won the IRONMAN 70.3 Mallorca and the IRONMAN 70.3 St. Pölten, amongst other events. At each event, she swam 1.9 kilometres, cycled 90 kilometres and ran 21.1 kilometres. She puts her trust in igli insoles from medi to pursue her competitive sports the best she can despite splayfoot. 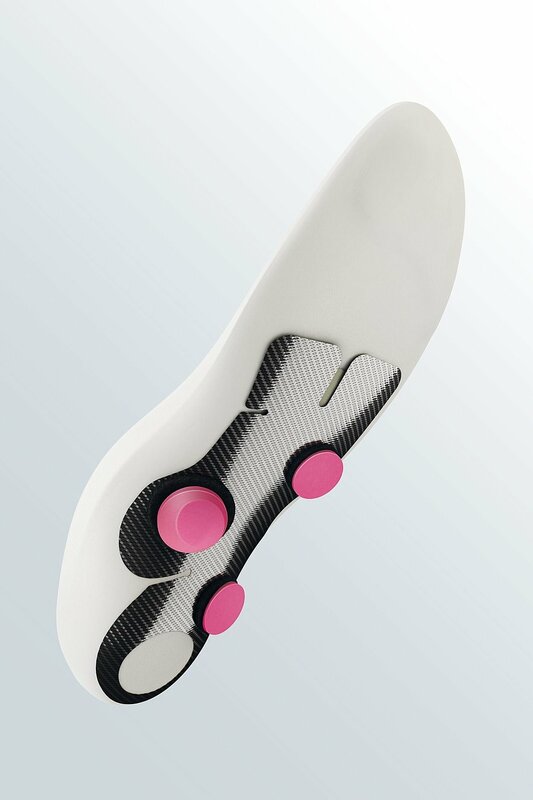 When foot deformities need orthopaedic correction, medi's igli carbon insoles can be an excellent choice because the flexible insoles support every movement and can activate the foot muscles. Click here for more information about our individual igli carbon insoles for treating foot problems.